Organically inspired, this 8mm Tantalum ring features a diagonal bark design framed by yellow Gold edges. Organically inspired, this 8mm Tantalum ring features a diagonal bark design framed by white Gold edges. Organically inspired, this 8mm Tantalum ring features a diagonal bark design framed by rose Gold edges. 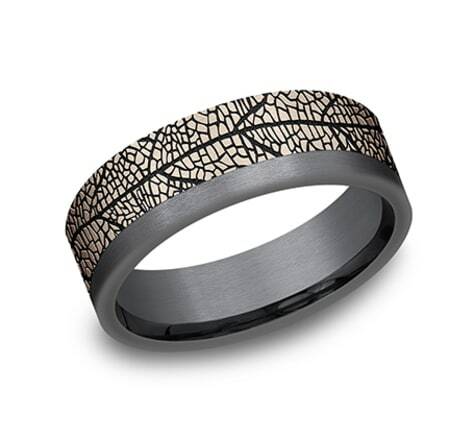 Inspired by the Dogwood tree, this 8mm Tantalum ring features a bark motif surrounded by Black Titanium edges. 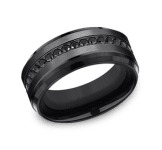 This Tantalum ring features wear resistant black detailing creating a dimensional web effect framed by Black Titanium edges. 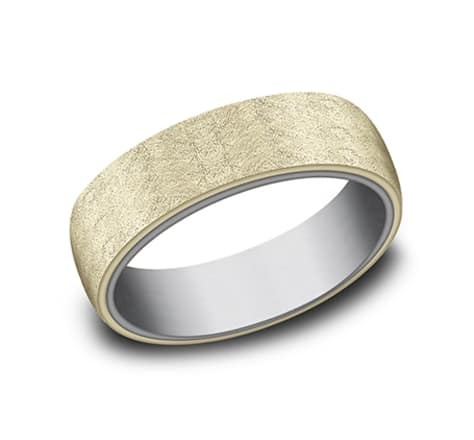 Organically beautiful, the wear resistant blackening on this yellow Gold 7mm comfort-fit band creates a dimensional effect while the Tantalum detailing ads a surprising two-tone feature. 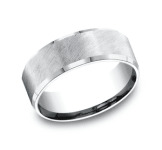 Mix contemporary sleekness and classic lines with this 7mm and gray tantalum design band. A unique spin on a two-tone effect, this 6.5mm comfort-fit ring is composed of a satin finish Black Titanium outer band with an inner Tantalum band. The elegant satin finish on this 6.5mm Comfort-Fit Tantalum and wedding ring is highlighted by a subtle two-tone effect created by the contrasting metals. The elegant satin finish on this 6.5mm Comfort-Fit Grey Tantalum and wedding ring is highlighted by a subtle two-tone effect created by the contrasting metals. An inner yellow gold ring adds surprising detail to this 6.5mm comfort-fit Tantalum ring while the swirl finish creates a beautifully industrial texture. An inner ring adds an interesting detail to this 6.5mm Comfort-Fit Tantalum wedding band while the swirl finish creates an elegantly industrial texture. 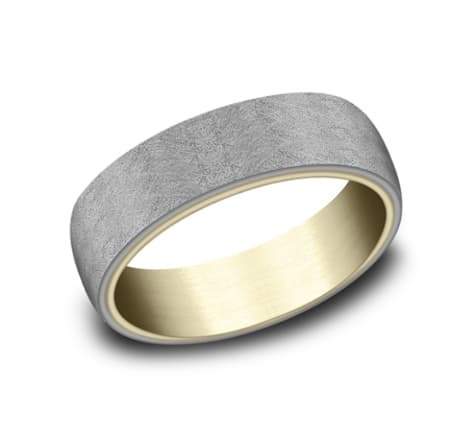 An inner Tantalum ring adds an interesting detail to this 6.5mm Comfort-Fit wedding ring while the swirl finish creates an elegantly industrial texture. We've hand hammered over the surface of our pebbled finish to create a unique pattern on this black Titanium 6.5m Comfort-Fit wedding ring and created a subtle two-tone effect with the inner band. An inner ring adds surprising detail to this 6.5mm Comfort-Fit Tantalum wedding band while the wire brush finish creates a beautifully industrial texture. This 6.5mm comfort-fit Tantalum and Black Titanium ring channels rugged beauty with its fractured rock design and understated two-tone effect. This 6.5mm Comfort-Fit Tantalum wedding ring channels rugged beauty with its fractured rock design while the inner band creates understated two-tone effect. This 7mm Comfort-Fit design ring features an organic bark design with blackened detail and an offset Tantalum accent for a beautiful asymmetrical look. An homage to the beauty of nature, this yellow Gold tree bark inspired band features wear resistant blackening and an offset Tantalum detail. 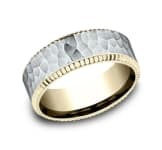 The wear resistant black detailing on this 7mm Comfort-Fit two-tone design wedding ring highlights the unique horizonal bark motif framed by edges. 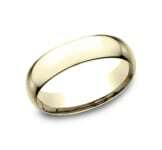 high polish drop bevel edges cradle a random cross hatch pattern in Tantalum on this 8mm Comfort-Fit design wedding ring. Inspired by the Victorian era, the floral motifs on this 8mm Comfort-Fit Black Titanium and design wedding ring creates a decidedly vintage visage. This 8mm Comfort-Fit design wedding ring showcases our "faux Mokume" design in Black Titanium embraced in 14k for a beautiful one of a kind two-tone look. 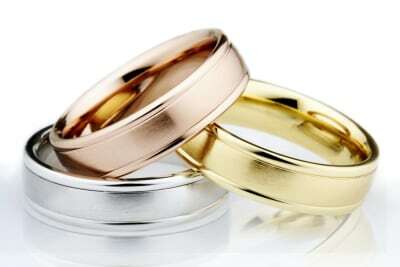 This 6.5mm Comfort-Fit design wedding ring showcases our "faux Mokume" on the outer Tantalum ring while the inner bring in a two-tone effect. This 7mm comfort fit ring features rose Gold wrapped in darkened Tantalum to create a softer effect to a modern industrial feel. 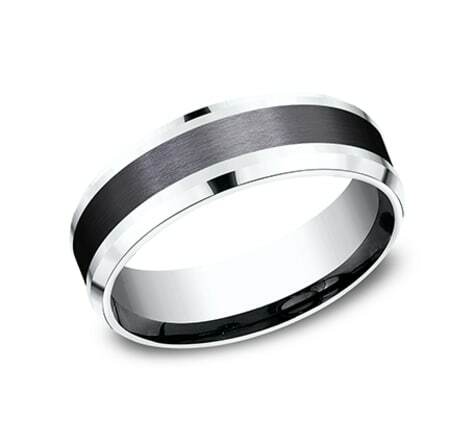 Mix contemporary sleekness and classic lines with this 7mm and black titanium design band. 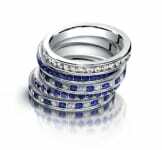 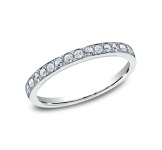 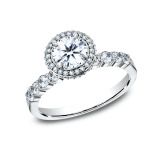 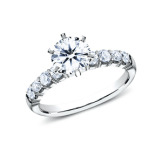 Simple and elegant, this 8mm Comfort-Fit Tantalum and ring has a beautiful satin finish and high polish drop bevel edges. Mix contemporary sleekness and classic lines with this 7mm 14k Rose Gold and Black Titanium design band. This 7mm comfort-fit asymmetrical design ring features hammered rose Gold wrapped in a darkened Tantalum embrace for a surprising interpretation on a two tone style. 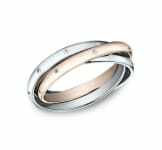 This 7mm comfort-fit band features beautifully hand hammered rose Gold complemented by an offset darkened Tantalum feature. 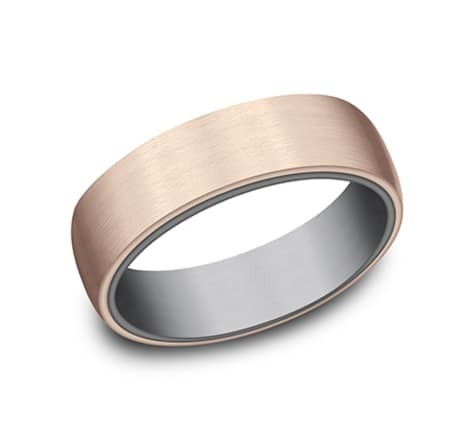 A unique spin on a two-tone effect, this 7mm Comfort-Fit ring is composed of a satin finish Tantalum band with an offset rose Gold accent. Mix contemporary sleekness and classic lines with this 8mm Black Titanium and Tantalum design band.